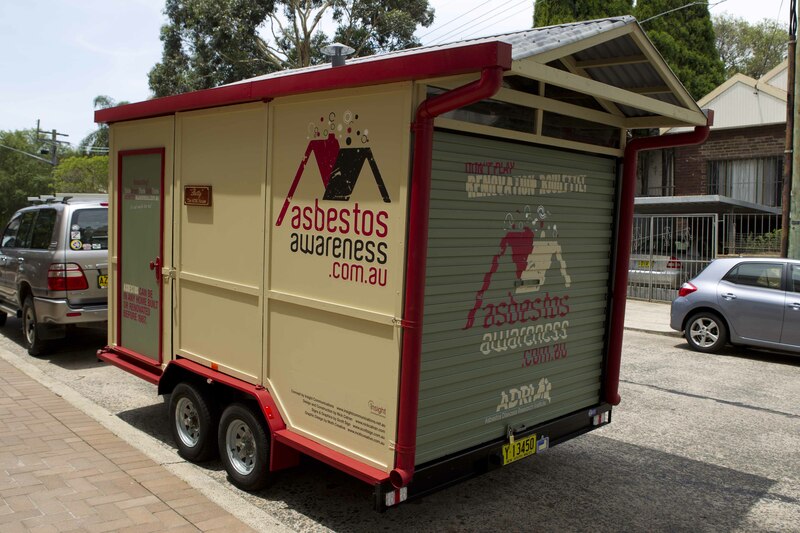 ‘Betty’ – The ADRI House is the first of her kind in Australia and the world, and is a community engagement and experiential awareness initiative of the Asbestos Education Committee in partnership with the Asbestos Diseases Research Institute (ADRI). 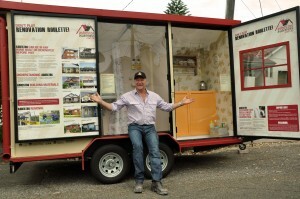 Betty is a purpose built, mobile model home designed to demonstrate where asbestos might be found in and around any Australian home built or renovated before 1987. Her exterior resembles a typical fibro home but when opened up, she has extensive audio and visual information including a bathroom, kitchen, living room, man shed/garage and a dog house. Betty’s mission is to educate all Australians about the dangers of asbestos so they think smart, think safe, think asbestosawareness.com.au, because it’s not worth the risk! Her curators and chauffeurs, Geoff and Karen Wicks, are fully trained volunteers who enable her to educate the community as well as tend to her maintenance and upkeep. Geoff is a retired avionics engineer and avid DIYer! 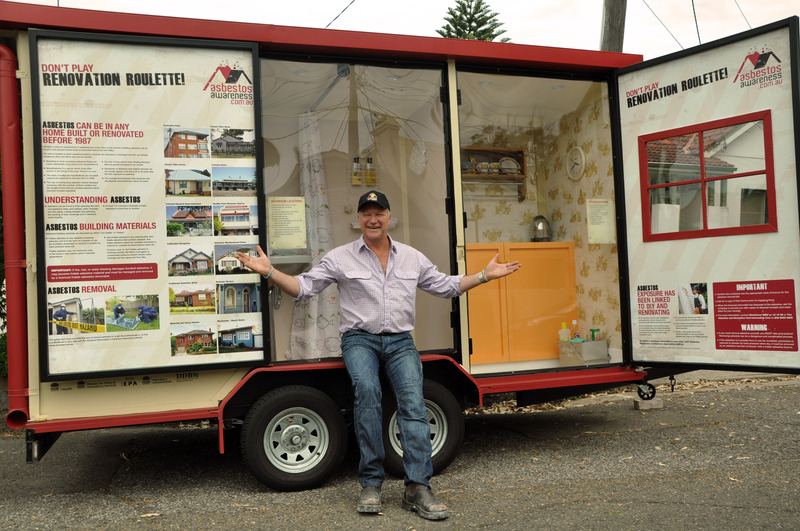 Currently Betty visits communities around Sydney and NSW, primarily to community events, council activities and DIY or renovation expos educating Australians about asbestos dangers.